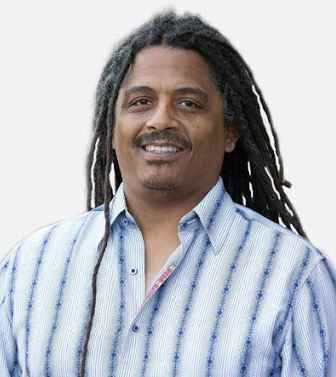 BERKELEY, Calif., Dec. 15, 2017 /PRNewswire/ — Steep Hill, the global leader in cannabis science, will collaborate with University of Technology, Jamaica (UTech, JA) at this weekend’s Rastafari RootzFest, leveraging Steep Hill Express to provide accurate potency testing for the event. Steep Hill will also provide testing training to UTech, JA to help promote best practices and share testing protocols. The collaboration brings together science and cannabis testing expertise to support Jamaica’s Rastafarian community and growers as the country’s cultivation sector transitions to a legal environment. The collaboration builds on a 3-year strategic alliance between Steep Hill and UTech, JA for dedicated study and development exploring the culture, science, and technology of cannabis in Jamaica. This alliance allows for collaboration to support the Jamaican government and market participants as the country develops and manages a culturally-appropriate, science-and-technology-based framework for the legalization, regulation, research, and taxation of medicinal cannabis. Founded by Ras Iyah V—the Chair of the Westmoreland Ganja Farmers Association, a member of the Board of the Cannabis Licensing Authority (CLA), and one of Jamaica’s foremost ganja authorities—Rastafari RootzFest is a three-day event designed to educate attendees about the benefits of medical and sacramental cannabis, celebrating developments in the newly-legal industry through music and community. We’re very thankful to our partners Steep Hill and UTech, JA for their commitment and efforts in bringing science and technology to our event, and to Jamaica. With science by our side, we can learn more about what we have, and we can explore ways of helping our people and farmers benefit from the mighty herb. Through science and technology, we can identify these strains to use as a reference point, so that Jamaica can re-claim the brands that are rightfully theirs, ultimately bolstering the Jamaican economy. UTech, Jamaica is the first tertiary institution owned by the Government of Jamaica (GOJ), in existence for over 5 decades. The institution received a GOJ order for engagement in research and development in cannabis. The University is involved in several levels of collaboration in the herbal space that have, among other things, facilitated product development and design. It recently completed a round of training in preparation for a new wave of clinical trials for cannabis-based products set for the third quarter of 2018. 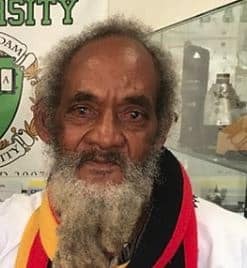 Rastafari RootzFest was founded by Ras Iyah V, Chair of the Westmoreland Ganja Farmers Association and one of Jamaica’s foremost ganja authorities. Rastafari RootzFest is a three-day event designed to educate attendees about the benefits of medical and sacramental cannabis, celebrating developments in the newly-legal industry through music and community.